Dramafever, the Korean-centric streaming service from Warner Bros Digital Networks, has agreed to a content partnership with Yarn, Mammoth Media’s text-based entertainment app. Dramafever will use Yarn to reach new audiences and extend the life of the shows on its own platform, which often don’t go more than one season. “Working with Mammoth Media and Yarn allows us to extend our fans’ favorite storylines and characters beyond traditional viewing cycles and introduce our incredible selection of international series to brand new fans,” said Rena Liu, general manager of DramaFever. Under the agreement, serialized content based on some of Dramafever’s most popular Asian series will launch on Yarn as short-form, text-based series. The first project will be “Immortal,” which consists of six exclusive stories designed for fans of DramaFever’s supernatural Korean dramas. Additional content inspired by the streamer’s romantic comedies will also launch on the platform later in the year. Yarn, available on iOS and Android devices, is a micro-storytelling platform that provides daily narratives through serialized short-form fiction. The company says it reaches 15 million people (the primary demographic is millennials 18- to 25-year-olds) and boasts that more than 80 million stories and 8 billion messages have been read on the platform to date. In addition to developing its own proprietary content, Mammoth Media continues to add programming to the platform through entertainment industry partnerships with AMC’s “Into The Badlands” and Archie Comics’ “Riverdale,” “Betty & Veronica” and “Sabrina The Teenage Witch.” Additionally, the writers of the “Saw” horror movies collaborated with the company to create the exclusive series “HACK’d,” which the company said led to a 45 percent increase in Yarn traffic upon its debut, according to the company. For Mammoth Media, the Dramafever partnership comes just nine months after it closed a $13 million funding round from investors including Greylock Partners and Science Inc. The leaves are changing color and that means you’ll soon be changing channels (a lot), as Fall TV is back! Yes, we have finally reached that time of year when all the best broadcast shows return for another season. 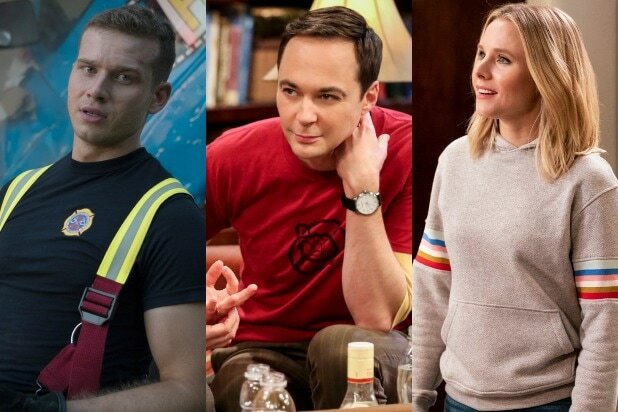 Click through TheWrap‘s gallery to see the premiere dates for all the series that are coming back in the coming months. And to see when all 22 new broadcast shows are premiering, click here. Now if you didn’t see your favorite (non-canceled) broadcast series on this list, that probably means it’s been moved to midseason. Yes, yes, we’ll keep you posted on when “Brooklyn Nine-Nine” makes it’s NBC debut.